I read this great post from Jon Gjengset(https://thesquareplanet.com/blog/why-dont-people-ask-questions/) on the topic of asking questions. It made me reflect a bit on questions and why I didn’t ask more questions during my time in school. The reasons were many, but I was usually the type to go up to the Professor after class because I was afraid I’d waste everyone else’s time. For certain topics I was interested in, go to office hours instead. But yes, I wasn’t an active participant in the class many of the time. People don’t want to look dumb. If you’re asking a question, you’re revealing to the entire group of people that you didn’t understand X. Sometimes, this could be good, sometimes this can be bad. There’s a certain sense of humility involved in asking questions, and not giving a crap about what other people think about you. People judge about what kind of questions you ask - “Ah how can this person not know this?” To blatantly ask questions without a filter, you need a huge amount of self-confidence and to some degree honesty. My take on this is that - you should just ask. People don’t even remember what they had for breakfast. They won’t remember your stupid questions. And sometimes even dumbest questions are often insightful. **** You’re afraid that you tuned out for a couple of minutes, and the lecturer already discussed what you are going to ask. **** I had this happen a lot of the times. For whatever reason, my mind likes to wonder. But maybe.. it’s just not me. Doesn’t everyone’s mind do this? Our brains are huge filters, and parallel processors. I find it hard to believe that our brains can remain concentrated on one thing for the entirety of 45 minutes of the class. People don’t care about the material. They want to pass the class and get out. This is sad, but on the other hand, I can relate. There were a couple of classes in my life where I tuned out because I just didn’t have interest. This tended to happen a lot with politics and history classes because it was a regurgitation of facts and the reasoning for why the facts came to be were not thoroughly explained nor engaging. No matter how much I tried, I just didn’t have the natural curiosity to be actively engaged. They don’t want to slow down the Prof. This is a legitimate reason… but doesn’t this underline the flaws of our education system? Ideally, the class should be flipped so that we don’t learn the material during lecture, but discuss the underlying assumptions and topics that we want clarified. Hmm.. maybe one way is to have the students learn the things on their own, have them take a daily quiz to check their understanding, and have a re-take at the end of the class. I would want to try teaching like this. I think asking questions is a fundamental skill that we should foster in our society. Only by asking questions, can we find new doors, prune out and deeply understand the assumptions that go in building systems, and find gaps in our understanding. Anyhow, maybe we should do something to incentive students to ask questions and participate. Maybe extra credit for good questions. Or use technology during the lecture, so that students can anonymously ask questions in real-time! Perhaps the way we teach is all wrong - possibly the reason why we don’t have active participation in our classes is due to resource constraints. Maybe, maybe if we have extremely groups of 4 - 5 balanced students teaching each other, won’t that improve our ability to ask questions and have very meaningful discussions? A friend asked me this programming multiple choice question that’s been driving me nuts. Not because it was a particularly hard question, but it was just full of holes. It didn’t take me long to figure out that the “correct” answer is that this code has the time complexity of O(n^4). Simple cs 101. The first loop takes n^2 time. Check. when j = 0, k =0, but k < j doesn’t hold. 0 runs. when j = 1, k = 0, -> 1 run. when j = 2, k = 0, 1, –> 2 runs. when j = 3, k = 0, 1, 2…. -> 3 runs. This turns out to be a summation formula: sum(1 + 2+ 3+ 4+ 5+ … n-1), which is (n-1)*(n-1+1)/2. Combining this with the first loop, the run time is O(n^2 * (n-1)*n/2). All in all, the time complexity is O(n^4). But this could be wrong based under certain assumptions. Breaking Assumption 1: Suppose that this is the second time running this code. Or the third time. If the computer running this program caches the result(s) in the computer cache, then it’s a O(c) operation. Constant time lookup. Woohoo! Done. Breaking Assumption 2: I heard a story that clang or other compilers are super-smart. They don’t run this code, they figure out that the above code can be converted into summation formulas. So the answer is always going n^3(n+1)/2. The computer doesn’t need to run any loops! Which is probably ~a couple of load(1?) operation from the computer, and maybe 4 multiplication operations, 1 addition, and 1 division. Probably less than 20 operations total. Which is still constant amount of cpu instructions regardless of n. So it’s still constant time operations independent of the size of n.
So yes, it’s O(n^4) under certain conditions. Ugh. But considering that Big O notation is taking the asymptotic bound for the worst case situation, I guess this is the safe, right answer. 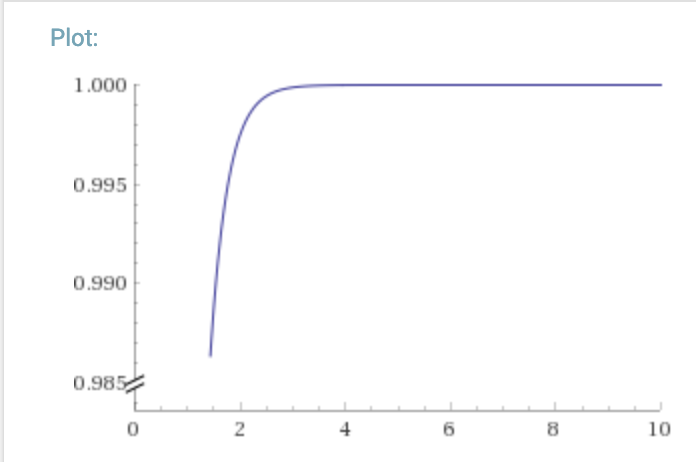 But under certain conditions, there is no way the asymptotic behavior would ever be O(n^4). It really depends on your environment and other extra details. I was super curious of what optimizations the compiler makes, and coded this up on my computer in C and generated some assembly afterwards. .ident	"GCC: (Ubuntu 5.4.0-6ubuntu1~16.04.11) 5.4.0 20160609"
.ident	"clang version 3.8.0-2ubuntu4 (tags/RELEASE_380/final)"
My Recurse Center batch(Winter 2 2019 is the best!) officially ended Friday. It’s one of the best experiences I had in my life. I will surely miss it. I’m going back to my hometown in the suburbs of D.C., take some time to read and relax, and hopefully travel for a bit after while I’m planning my next steps. The most likely outcome is to come back to New York to work. You will learn things you didn’t know you didn’t know. There’s a diverse range of programmers with different skillsets. It strikes a nice balance, because you get an opportunity to help and share your knowledge. At the same time, there are always people to learn programming from. Because everyone has different backgrounds, you get to pick up on other interesting things. People at Recurse are super nice and friendly. Recurse has an interview process where they optimize for picking people based on their passion and whether they’re someone Recursers would get along with(That’s my theory anyway). F I didn’t interact with everyone in my batch, maybe because we never got a chance to talk or wasn’t on the same wavelength. But I found no one that was outright rude or mean. Yet. You get access to a community of 1500 people on Recurse Center’s private messaging board. That’s one more community you can ask programming questions or other life questions. Collaboration. You do get a chance to collaborate on projects together and pair up, if you choose to do so. Sometimes, while you’re working on your projects alone, it can get lonely, or possibly stuck. What I found inspirational was that there was always someone passionately hacking away and learning when I felt drained, and that I could talk to others to take a quick break. Money doesn’t grow on trees. Let’s say that you need 7k to fund yourself for Recurse. It’s not only 7k, but you also have to factor in the opportunity cost of what you could have been doing when you’re not at Recurse. Which is a lot of monies. You want to focus only on working on your project at maximal velocity. Then it may be better to stay home. There will be distractions(some good, like getting to know some really cool things you didn’t know, but others not as good). James, an alumni, said this: If your sole reason is to come to Recurse to work on your project flying solo, Recurse may not be the best option for you. I mean, you can work on your passion project by yourself right? So expect your original goals to shift. Your an early stage programmer and want to get a job through Recurse’s partner companies. Many of their partner companies mostly want senior software engineers. Sometimes, you feel that you’re not good enough because other people are doing amazing things and you’re either not making a lot of progress, or learning something that doesn’t have tangible results. But the other side of the coin is that the work of others rekindles your fire to learn. Get a job that you really love, and take a sabbatical. One of the Recurse facilitators mentioned this before I started my batch. People have a hard time juggling between planning their next steps, and enjoying the Recurse experience. I would have loved my batch much more if I took a sabbatical, didn’t have to worry about interview prep, and went ham! Some Recursers got their companies to fund their learning experience. This is sick. If you love your job, but want a break, you should definitely ask! You’re going to end up becoming a better programmer, so the company should invest in your 3 month ordeal! Also, it’s better if you’re not strapped for cash. It’s stressful to worry about money when you don’t have any. It’s good to save up some money so you can go out often and explore New York! Introduce yourself to other Recursers as soon as possible. The sooner you do this, the less awkward the two of you will be. Sometimes, you never really introduce yourself to each other, so naturally you tend to avoid talking to each other because it’s gotten awkward. It’s a crappy feedback loop, so don’t do it. Organize study groups and find people to learn together. I recommend this because it’s a lot more fun this way, and you get to clarify missing pieces in whatever you are studying. Or go in-depth through another side discussion. Don’t be afraid to ask to join in on the conversation. But don’t be afraid to bounce as well. Ask away. Personally I don’t think there is a dumb question. I saw this blog post recently which is relevant(https://thesquareplanet.com/blog/why-dont-people-ask-questions/). It’s pretty safe here. Give presentations. You get a chance to do 5 minute presentations every week. In retrospect, this is what I should have done more(I gave 2 during my stay). If you’re bad at public speaking, this is an excellent, low-risk way to improve. Pair program often. There are some interesting tools and ideas that I’ve picked up during the few sessions I’ve had with others. Overall, I highly recommend attending the Recurse Center for anyone interested. *Nothing is permanent in life, so this blog post is subject to revision =D. I’m going back to my hometown in the suburbs of D.C., take some time to read and relax, and hopefully travel for after while I’m planning my next steps. One of the most fascinating things I’ve realized is that for every argument, the same set of facts or assumptions can be used for a counterargument. By examining the argument and going down deep enough or generalizing the meaning of the words through their ambiguity, there’s a high possibility that you can extract out a counter argument. Warning: I may not agree with everything stated below. Life is short. So you should make the best of it. Life is short. So short that whatever you do doesn’t matter. At all. All life is precious. So we should not support abortion. All life is precious.We should not force babies to be born in a world where their parents didn’t want them, if life is precious. It’s a once in a lifetime opportunity. You need to come to this event. it’s a once in a lifetime opportunity. Staying at home is a once in a lifetime opportunity(technically the truth).